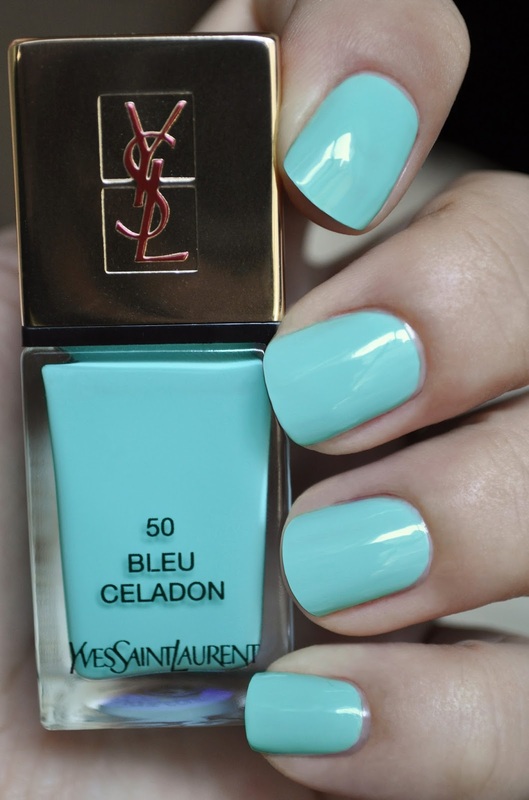 YSL's La Laque Couture in 50 Bleu Celadon is a beautiful, celadon-blue with a glossy creme finish. The formula is absolutely superb in consistency, finish and performance. 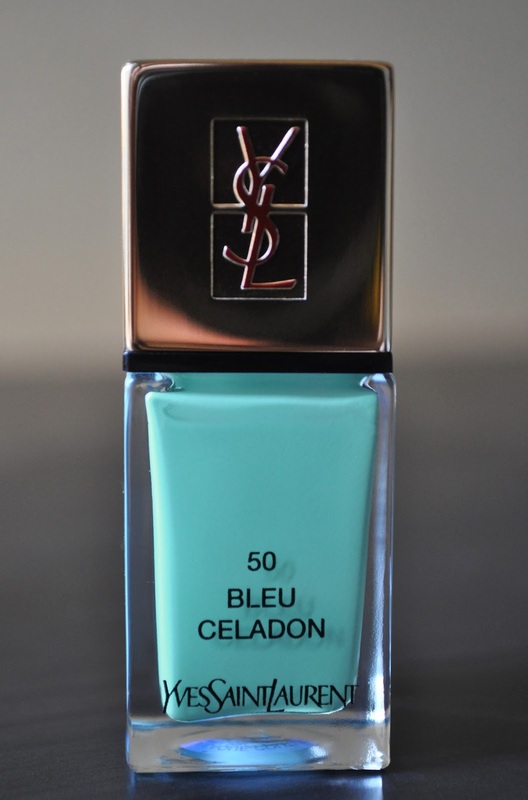 Bleu Celadon is a magnificent, airy, yet sophisticated Summer shade, and one of my favorite lacquers released last season.